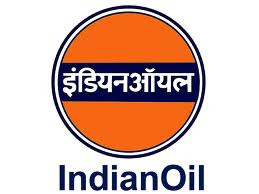 Indian Oil Corporation Limited open new career opportunities for 101 Junior Engineer. IOCL serving India with its products like oil, gas, LPG, lubricants, petrochemicals etc. 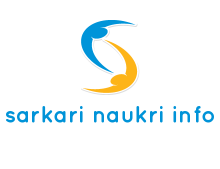 It is public sector limited company owned by Government of India. More than 36000 employees working in IOCL. Candidates who want to work in this company, may read following information for vacancy details with important details. As on 1.7.2012 candidates should required 18-26 yrs for above said jobs. Relaxation available for SC, ST and OBC category candidates. Please read full recruitment notification for more details. Applicant should have complete Bachelor in Science degree for production trade post and for other trade (Electrical, TPSC Mech.) diploma in engineering required. Applicant qualification must be relevant to the post for which applied. IOCL will conduct written examination for Junior Engineer Assistant job. And after this test they will publish results for the same, according to the merit receive in written test IOCL will invite qualified candidates for personal interview. At the time of final section marks obtained in written exam and interview will be considered. Applicant who are from unreserved category and OBC cast have to pay Rs. 100 application fee. Fee should be in the form of crossed DD in favor of Accounts Officer, Gujarat Refinery payable at Vadodara. Candidates who belongs to SC, ST, EXMS and PWD category, relaxed for application fee procedure. If you read the full advertisement and want to apply for above said post first need to download prescribed application form available at IOCL website www.iocl.com and after fill it completely send to following address with required documents only trough ordinary post. After 27/8/2012 no application will be accept by IOCL, candidates who want to read complete IOCL advertisement have to wait till 26 July, 2012 because IOCL not published advertisement officially in news papers or official site.